In the past few years the Cosmetic Surgery of Indianapolis practice has seen a steady increase in male patients. It’s no surprise considering that the American Society of Plastic Surgeons is reporting that cosmetic procedures on men has increased a whole 2% from last year, compared to 2009. According to the report, men underwent more than 1.1 million minimally invasive and surgical procedures. The report also stated that the most popular surgical procedures for men are nose reshaping, eyelid surgery, liposuction, breast reduction and hair transplantation. Botox treatments top the most-popular list of minimally invasive procedures, followed by laser hair removal, microdermabrasion, chemical peel and soft tissue fillers. But why are men turning to cosmetic surgery? It seems that men are starting to pay more attention to their appearance! Breast reduction and hair transplantation are especially popular with younger men. These young men are embarrassed to go to the beach or the pool and take off their shirts, in fear that someone may take a jab at them for having breasts the size of a woman’s B or C cup. These young men are embarrassed that they are losing hair in their mid twenties and early thirties. Having either of these procedures produces great confidence in men, and they are thrilled with the results! Interestingly enough, facelifts are becoming increasingly popular with older men around the ages of 50 and 60. They are part of a particular generation, the baby boomers, and have paid a lot of attention to how they look. Diet and exercise is their friend, however, some things such as a “turkey neck” simply won’t go away without a cosmetic procedure. These same men are also seeking to appear younger because they tend to worry that they might miss out on a job opportunity if they look older. As time progresses, I can only guess that even more men are going to make their way into my office, and I am fully prepared to give them the results they want. 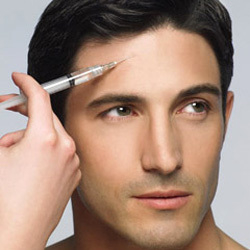 Do you know any men that have undergone a cosmetic procedure? Are you male who has had plastic surgery? If so, what procedure did you have? 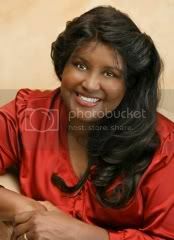 Michelle Jones Singer, M.D., is a licensed and board certified M.D. in the State of Indiana with over 20 years' experience serving Indianapolis, Fishers, Carmel, Noblesville and Zionsville. As a cosmetic surgeon, Dr. Jones Singer specializes in body sculpting, breast enhancements, Mommy Makeovers and minimally-invasive treatments such as Botox, dermal wrinkle fillers, and skin treatments such as microdermabrasion. Visit her website at http://indianapolis-cosmetic-surgery.com or call us today at 317.708.4228. This entry was posted in louisiana plastic surgeons, louisiana plastic surgery and tagged botox indianapolis, cosmetic surgeon indianapolis, cosmetic surgery, indianapolis botox, indianapolis cosmetic surgery, indianapolis liposuction, indianapolis plastic surgeon, liposuction indianapolis, LVRI of Indianapolis, male plastic surgery, woman cosmetic surgeon indianapolis. Bookmark the permalink.